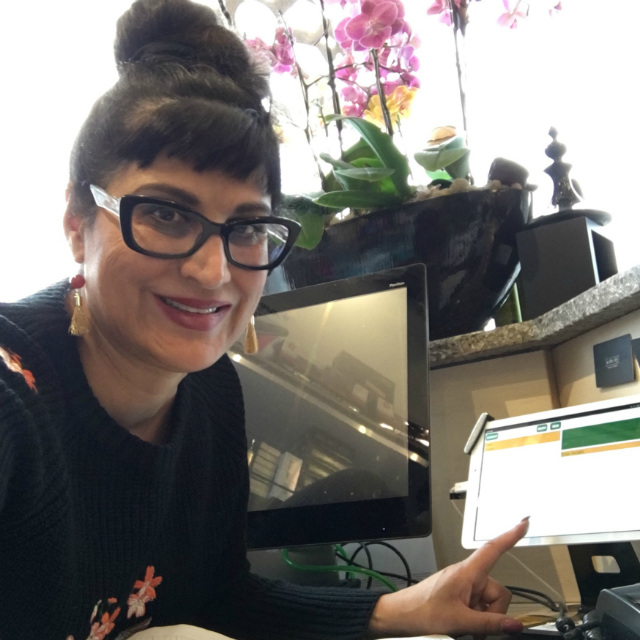 When Vancouver's In Theory Hair Studio needed a new POS system, shop owner Tindi Chohan looked at several possibilities. She ended up selecting POS-n-go. After 35 years in the hair salon business, Tindi said, "It [POS system] has to be simple, it couldn't be complicated, this one [POS-n-go] is easy." "I choose POS-n-go because it was easy to use," said Tindi. "Now everyone is on board. Everybody is using it without any problem." As a rental salon with no front desk person to handle customer transactions, she needed a POS system that would help stylists process transactions fast. "With POS-n-go bang bang bang and the customer is out," she said. In Theory carries a full line of hair products, including Goldwell, KMS, Redken and Morocan oil. Wrapping up, Tindi said, "I would recommend POS-n-go to other salons, especially for a rental salon, it's really easy." In Theory wishes their patrons, family and friends a very Merry Christmas and a happy New Year. In Theory Hair Studio located at 3160 Macdonald St., Vancouver. Give them a call at 604-559-7733.